SANTA CRUZ, CA--(Marketwire - August 12, 2008) - In response to customer demand, Fullpower®, the leader in mobile sensing solutions, today announced it has released MotionX™-Dice for the iPhone and iPod Touch. As an introductory offer, MotionX-Dice will be available free through the Apple App Store for the first 90 days. With MotionX-Dice, the player shakes the iPhone or iPod Touch to initiate the roll. Real-world physics are used to control the way the dice roll, collide and settle just as if they were actual dice. 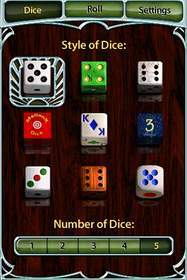 The application allows the player to choose the number of dice in the game, selecting a number between one and five. The application also gives the player the freedom to customize the appearance of the dice and rolling surface for a truly unique gaming experience. "MotionX-Poker is a breakout success with both customers and critics," said Arthur Kinsolving, director of technology for Fullpower. "Users love MotionX-Poker. 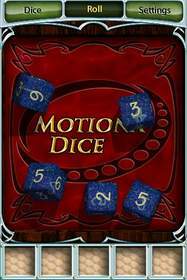 There have been numerous requests to use MotionX dice to play games including Yahtzee, Craps, Liar's Dice, Backgammon as well as many multi-user dice games. To thank the iPhone community for the success of MotionX, Fullpower is making MotionX-Dice absolutely free for the first 90 days." Speaking about Fullpower's ability to turnaround a new product so speedily, Kinsolving stated, "Because the MotionX technology platform is designed for accuracy and flexibility, we can build great MotionX solutions promptly. The iPhone is a revolutionary platform that gives consumers easy access to unique and soon life-changing applications." 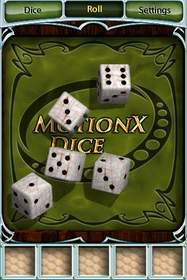 MotionX-Dice uses the same dice-rolling technology as Fullpower's critically acclaimed MotionX-Poker. The MotionX Recognition Engine captures the player's hand movement, and the MotionX Embedded Physics Engine runs this motion information through advanced mathematical algorithms to determine the outcome of the roll. The user's actual shake determines the outcome of the roll as in real life. As an introductory offer, the MotionX-Dice iPhone game is absolutely free for the first 90 days. 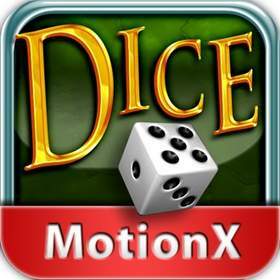 MotionX-Dice is immediately available as a free download from the Apple App Store. Founded in 2003 by Sonia Lee and Philippe Kahn, Fullpower's mission is to put sensing and motion-sensing in particular in every mobile device. MotionX is the motion recognition platform developed by Fullpower. As the leader in mobile sensing solutions, Fullpower is building on its expertise in wireless sensor technology to deliver unique, interactive motion-sensing games and applications. MotionX solutions are designed and developed in Santa Cruz, California. About this company Fullpower Technologies, Inc.